a) “Associated Companies” means any subsidiary company or holding company and its subsidiaries. b) “Charges” means our charges from time to time for the hire of Equipment, the provision of Services, and/or the sale of Product to you as specified in this Contract. c) “Contract” means the document or documents that contain these conditions and the other terms and details forming the hire or sales agreement between us and you. d) “Deposit” means any advance payment required by us in relation to hires for the Equipments which is to be held as security by us. e) “Equipment” covers all the classes of prefabricated and portable buildings, erectable structures, accessories and ancillary equipment, which are hired by us to you. f) “Force Majeure” means any event outside a party’s reasonable control including but not limited to acts of God, war, flood, fire, labour disputes, strikes, lock-outs, riots, civil commotion, malicious damage, explosion, terrorism, governmental actions , adverse weather conditions, shortage of carriage or shipping facilities and any other similar events. g) “Hire Period” means the period commencing and including the date when the Equipment is delivered to or collected by you until the date the Equipment is returned to us or the hire is otherwise terminated by the parties. h) “Liability” means liability for any and all damages, claims, proceedings, actions, awards, expenses, costs (including but without limitation all legal costs and disbursements) and any other losses or liabilities. i) “Minimum Hire Period” means the minimum period of hire, which shall be the period of 4 weeks from the commencement of the Hire Period or such other period as specified in the Contract. j) “Products” means the products sold by us to you. k) “Order” means the purchase order containing the details of the Contract, whether this order is verbal, written, faxed, emailed or placed online at our website. l) “Related Contract” means any contract other than this Contract between you (or your Associated Companies) and us (or our Associated Companies). n) “we/us/our” means Portable Space Limited or any person(s) letting the Equipment on its behalf and includes any successors or subsidiaries. o) “you” means the person, firm, company or other organisation hiring the Equipment, using the Services and/or purchasing the Products. p) The headings shown are for reference only and they do not in any way alter or affect the interpretation of these Conditions. a) We will supply the Products, hire the Equipment and or provide the Services to you and you shall pay the Charges. b) These conditions do not affect any of your statutory rights where you are a person dealing as a consumer, not for business purposes. Any section which would otherwise exclude or restrict your rights as a consumer will, to that extent have no force or effect. c) These conditions shall be the sole conditions under which the hire of Equipment, provision of Services and sale of Products takes place. All other terms, conditions and other representations are excluded from the contracts between you and us including any terms and conditions which you may purport to apply under any contract and these terms and conditions shall prevail. d) Our employees or agents are not authorised to make any representations concerning the Equipment and/or Products unless confirmed by a director in writing and any advice or recommendation given by us to you as to the storage, application or use of the Equipment and/or Products which is not confirmed in writing by a director is followed or acted upon entirely at your own risk. e) We reserve the right to provide Equipment and/or Products similar or comparable to that ordered by you. Any photographs, drawings and specifications shown on our website or provided by email, fax or post are for example only. It is your responsibility to check and confirm in writing with us should there be exact requirements needing to be met. f) These conditions shall be applicable to all repeat orders made by you unless we notify you otherwise. g) All Equipment is offered subject to availability at the date of delivery. We will not be liable for any loss suffered by you as a result of the Equipment being unavailable for hire or purchase. h) The Contract is deemed to be made at our head office at Unit 1, Red House Farm Business Units, Bacton, Stowmarket, Suffolk IP14 4SB. i) Our quotations and estimates are without commitment and the Contract is not binding on us unless we accept your Order in writing (including by email) by sending you a ‘Written Order Acknowledgement’ confirming the Order. a) The amount of any Deposit and Charges are detailed in the Contract and are based on our current price list from time to time. b) Where a Deposit or Pro-Forma payment is required it must be paid before you receive the Equipment, Products or Services. c) In respect of contracts for hire, you shall pay the Charges for the Hire Period. d) We reserve the right to charge (at our then current rates) in addition to the Charges the price for all Services or Products supplied or costs incurred by us which are additional to the Contract specification. While we will endeavour to advise you in advance, you will be deemed to have authorised all such additions as we may consider to be appropriate and to your interests. e) All Charges are, unless otherwise stated, exclusive of any applicable VAT. g) No allowance or deduction shall be permitted from the Charges for hire in respect of any period where for whatever reason you do not use the Equipment. h) We reserve the right to amend the Charges for hire during the term of the Contract by giving 4 weeks’ notice in writing to you at any time after the Minimum Hire Period has expired. i) Where a credit account has not been granted, payment of the Charges shall be made with your order for the Equipment or Services or purchase of the Products. Otherwise, payment of any Charges or any other sums due under this Contract shall be made in full and cleared funds within thirty days from the date of the invoice. ii. charges and costs we reasonably incur in the recovery of the outstanding money or Equipment, including (but not limited to) debt collection agency fees and legal costs and disbursements. k) You shall pay all sums due to us under this Contract without any set-off, deduction, counterclaim and/or any other withholding of monies. l) We may set a reasonable credit limit for you. We reserve the right to terminate or suspend the Contract for hire of Equipment and/or the provision of Services if allowing it to continue would result in you exceeding your credit limit or if you have already exceeded the credit limit. m) We reserve the right to charge a card handling fee of not more than 2.5% where payment is made by debit or credit card by telephone or through our payment gateway on our website. a) Risk in the Equipment and/or Products will pass to you immediately upon delivery to, or collection by, you. b) Risk in the Equipment will remain with you until the Equipment is returned to our possession. Subject to the other terms of this contract, you will be responsible for all damage or loss to the Equipment. c) Title in the Equipment shall remain with us at all times. You have no right, title or interest in the Equipment except that it is hired to you, and you must not sell, assign, mortgage, pledge, charge, secure, hire, withholding, exert any right to withhold, dispose of or deal with title to the Equipment in any way. d) Title in any Products shall remain with us until all monies payable by you (or any of your Associated Companies) under the Contract or any Related Contract have been paid in full and cleared funds. v. notify us immediately if you become subject to any of the events listed in clause 11b but you may resell or re-use the Products in the ordinary course of business. f) If before title to the Products passes to you, you become subject to any of the events listed in clause 11b, or we reasonably believe that any such event is about to happen and notify you accordingly, then, provided that the Products have not been resold, or irrevocably incorporated into another product, and without limiting any other right or remedy the we may have, we may at any time require the you to deliver up the Products and, if you fail to do so promptly, enter any of your premises or of any third party where the Products are stored in order to recover them. g) Where title in the Products has not passed we may nevertheless maintain an action against you for the purchase price and all other monies owing by you in relation to the goods notwithstanding Section 49 Sale of Goods Acts 1979.
ii. in any case, at our option, either in replacement by other similar equipment (on a new for old basis) to which the Contract shall then apply or in compensating us for all loss suffered as a result of the loss or damage, any surplus being paid to and any deficiency being made up by you. i) It is your responsibility to insure your own contents that are placed within the Equipment. j) If we store, transport or work on any goods or other property (including Products about to be delivered by us or goods intended for incorporation in or use on Products or in Services) belonging to you or any third party we do so (and they are packed and carried) at your sole risk and (except as provided in these conditions) we shall have no liability to you or to any other party for loss, deterioration or damage to such goods or other property howsoever arising and whether by negligence or otherwise. k) In cases where we make a contract of carriage and/or arrange for insurance of goods in transit we shall be deemed to be acting as your agent and subsections (2) and (3) of Section 32 Sale of Goods Act 1979 shall not apply. a) Delivery times are given as estimates and time shall not be of the essence. Although we will attempt to meet your delivery or completion requirements we shall be under no obligation to deliver Products or Equipment or supply Services by any specified date. b) We shall not be liable for any Liability or other losses or expenses arising as a result of late or non-delivery arising from accident or breakdown during loading, unloading or transport of the Equipment or Products. c) We will charge our standard delivery and collection cost from time to time for delivery and collection. d) You shall be responsible for the unloading and reloading of the Equipment or Products on site and any driver supplied by us shall be deemed to be under your control and you shall be responsible for any damage caused. e) Where we provide Services relating to the hire of Equipment the persons performing the Services are your responsibility. You shall be solely responsible for any damage which occurs as a result of such persons following your instructions, except to the extent that the persons performing the Services are negligent. f) You will allow and/or procure sufficient access to and from the relevant site and procure sufficient loading space, facilities, equipment and access to power supplies and utilities for our employees, sub-contractors and/or agents (including support vehicles) to allow them to carry out the Services, including providing all plant, power and labour required for loading or unloading the Products or Equipment. You will ensure that the site where the Services are to be performed is cleared and prepared before the Services are due to commence. g) You shall provide a suitable access route for delivery and collection of the Products or Equipment with unrestricted entry and approach for all support vehicles and personnel and supply appropriate foundations or track-way in a suitable position for loading and unloading and for the Equipment to rest on. It is your responsibility to ensure the ground conditions are safe and adequate for all support vehicles, and to provide the necessary equipment to carry out this operation. You will be responsible for paying any costs for recovering our vehicles if this should become necessary. You will also obtain any ‘Red Route’ dispensations which are required for delivery of the Products or Equipment to take place. We will charge for all expenses incurred during delivery, including toll charges and parking fees/fines. h) You shall pay for any lifting or special apparatus required for the siting of the Equipment. iv. all other costs and expenses we incur as a result of the delay, postponement or cancellation of delivery. j) We accept no liability for any cost incurred by you due to delay or cancellation of a delivery or collection due to Force Majeure and reserve the right to charge you for any costs incurred through such delay or cancellation. k) Connection and disconnection of main services on site is your responsibility. l) Part deliveries (in accordance with the Contract or, with reasonable justification, as a departure from the contract) shall be deemed to represent separate Contracts. m) You shall insure all of our employees, servants, agents and/or sub-contractors whilst on your site/property against all acts of negligence. n) Where we undertake work or provide labour (which we may sub-contract) at your works or elsewhere, you shall indemnify us against all Liability arising directly or indirectly from defects in or unsuitability of the works or site or of apparatus or plant (other than that provided by us) or from negligence or breach of statutory duty on your part or that of your employees or any other third party (other than our own employees) and howsoever arising. o) You must notify us of any hazardous items that you require us to transport. We shall be under no obligation to transport any such items. If we agree to transport such items they must be classified, packed, marked, labelled and documented in accordance with the statutory regulations for their carriage by road. p) We, and any carrier we engage, may engage the services of any other carrier for the purpose of fulfilling the Contract in whole or in part and the name of every other such carrier shall be provided to the Customer upon request. a) We may suspend or cancel the whole or any part of the Contract if by reason of Force Majeure either we are prevented or hindered from performing our obligations or performance of those is to a substantial degree rendered difficult. b) If we exercise our right of suspension, you may within 7 days cancel any remaining part of the Contract conditionally on your paying expenses incurred to date and fair charges. c) We shall have no liability for any such suspension; and on any such cancellation, whether by us or you, our liability (if any) is limited to repayment of any part of the Charges received less our fair charges and any expenses already incurred by us. iii. in either case, if sooner, when you become aware or could reasonably have become aware of the non-delivery, damage or deterioration, or within such period as the carrier requires as a conditions of its liability. b) Any claim in connection with non-delivery, deterioration of or damage to Products or Equipment whether in transit or otherwise not notified in writing to us within the appropriate above stipulated period (or, in any other case, within 30 days of the damage or other loss the subject matter of the claim first becoming in whole or in parts apparent or discoverable on reasonable enquiry or examination) shall be deemed to have been waived. c) Receipt, acknowledgment and investigation by us of a claim does not imply admission by us of any liability in respect of the claim. a) The Equipment shall be deemed to be in good order and condition in accordance with the Contract unless we receive notification from you within three days of the Equipment being delivered to site. b) To the fullest extent permitted by law, no warranty is given that the Equipment is suitable for the purpose you require it for. c) You shall not deface or remove any labels or identifying marks from and/or interfere with the Equipment, its working mechanisms or any other parts of it. You shall not at any time alter or deface our name or any of our trademarks or juxtapose with them any other mark likely to cause confusion or use them or any mark likely to cause confusion either on or in connection with any services or any goods other than our goods in the form supplied by us or as, or as part of, any name or trading style. d) You shall take reasonable care of the Equipment and keep it properly maintained and only use it for its proper purpose in a safe and correct manner in accordance with any operating and/or safety instructions provided to or supplied to you and any applicable law or regulations (including any Institution of Electrical Engineers (IEE) regulations). e) You shall inspect the Equipment on a regular basis and notify us immediately, and in any event within 24 hours, of any breakdown, loss and/or damage to the Equipment. You shall also notify us immediately, and in any event within 24 hours, of any accident resulting in death, personal injury or damage to property. f) You shall take adequate and proper measures to protect the Equipment from theft, damage and/or other risks. g) You shall notify us of any change of your address and upon our request provide details of the location of the Equipment. h) You shall at all times allow us, our employees, servants, agents and/or sub contractors to have reasonable access to the Equipment to inspect, test, adjust, repair or replace the same Equipment including procuring access to any property where the Equipment is situated. i) You shall keep the Equipment at all times in your possession and control. Except for Equipment mounted on a wheeled chassis (which you shall not remove from the UK) you shall not move the Equipment from the site to which it is delivered or consigned without prior written consent. j) You shall be responsible for the conduct and cost of any testing, examinations and/or checks in relation to the Equipment required by any legislation, best practice and/or operating instructions, except to the extent that we have agreed to provide them as part of any Services. k) We will, at our own cost, carry out all routine maintenance and repairs to the Equipment during the Hire Period (but you agree that you are responsible for applying all lubricating oils and other maintenance detailed in the operating instructions) and all repairs which are required due to fair wear and tear and/or an inherent fault in the Equipment. You will be responsible for the cost of all other repairs and inspections (such as, but not limited to, electrical works) necessary to Equipment during the Hire Period. l) You must not repair or attempt to repair the Equipment without our prior written consent. m) You shall not do or omit to do anything which will or may be deemed to invalidate any policy of insurance related to the Equipment. n) You shall not continue to use Equipment where it has been damaged. o) Where the Equipment requires fuel, oil and/or electricity ensure that the proper type and/or voltage is used and that, where appropriate, the Equipment is properly installed by a qualified and competent person. p) You must return the Equipment in good working order and condition (fair wear and tear excepted) in a clean condition and free of all hazardous waste, together with all licences, registration and other documents relating to the Equipment. q) It is your responsibility to check the calibration of the Equipment on each occasion before use. Final determination of the suitability of the Equipment for your specific use is your responsibility and you assume all risk and liability in this regard. r) You shall indemnify us for all expenses, losses (including loss of charges) and/or damage suffered by us arising from any breakdown of the Equipment due to your negligence, misdirection and/or misuse of the Equipment. a) If the Equipment is returned in damaged, unclean and/or defective state (except where due to fair wear and tear and/or an inherent fault in the Equipment) you shall be liable to pay us for the cost of any repair and/or cleaning required to return the Equipment to a condition fit for re-hire. b) You must provide us with the any keys to the Equipment prior to collection, and properly secure all furniture or materials within the Equipment prior to collection. We will not be held responsible for any damage caused to the Equipment or Equipment contents (whether owned by us or you ) by furniture or materials within being unsecured. ii. where the Equipment is not recovered within 14 days, you will pay to us the replacement cost of the Equipment (on a new for old basis). iii. The Hire Period will continue until the Equipment is recovered or you pay the replacement cost for the Equipment, and you shall pay the full Charges that would have applied for such Equipment for that period. If you pay the replacement cost for the equipment we may (at our discretion) provide you with replacement equipment, or terminate the Hire Period. d) We shall advise you of any damage found to the Equipment or missing extra chargeable items within 4 weeks of the return of the Equipment. If you dispute the damage or shortage you shall have 5 working days to respond. e) You shall indemnify us for all costs we incur for employing a specialist contractor to remove and dispose of any waste including additional costs resulting from unidentifiable/hazardous waste, returned in the Equipment. a) It is your responsibility to ensure that the Products, Equipment and Services that you order are suitable for the purpose you require. 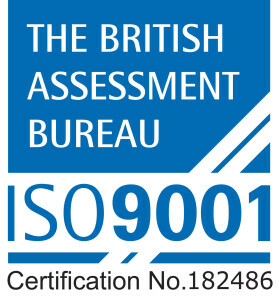 b) Any specifications, formulations, data, literature and statements as to dimensions, suitability, performance or otherwise, issued, and descriptions and samples given, by us in connection with our Products, Equipment or Services are offered in good faith but are intended to be approximate only, are not warranted and shall be deemed not to constitute representations. c) Pursuant to our policy of continuous improvements, we reserve the right without notice to make such changes in materials, dimensions and design as we think reasonable or desirable in all the circumstances having regard to your wishes. d) All intellectual property rights in our designs, data sheets, packaging and literature shall remain our property at all times. We grant to you a non-exclusive licence to the extent strictly necessary to make reasonable use of the Products, Equipment and Services we supply. Such licence shall terminate on the termination of this Contract. e) When we supply Products, Equipment or Services for you to your special requirements or for your special purpose (whether or not incorporated in whole or in part in our own specifications) you shall provide all necessary specifications in reasonable time to enable us to complete delivery. You shall indemnify us in full against all Liability we incur in consequence of complying with your requirements in connection with a claim by a third party for infringement of their intellectual property. ii. If you hire Equipment, either you or we may terminate the Contract on giving the other 4 weeks written notice or such other period as specified in this Contract such notice to expire on or after the end of the Minimum Hire Period. x. we have reasonable ground to believe that any of the events listed in paragraph i – ix above are likely to occur and we notify you accordingly. v. demand payment of all Charges (including all Charges for the full Minimum Hire Period) and any other amounts outstanding under this Contract or any Related Contract, whether or not due, which shall thereupon become due and payable. d) Orders for Products cannot be cancelled without our consent. If you cancel your order for Equipment or Services prior to the delivery of the Equipment or performance of the Services we are entitled to payment for all preparation costs, and you will be charged all hire Charges for the Minimum Hire Period or for the Services. This clause does not apply if you are a consumer to whom clause 16 applies. e) At the termination of the Contract, you must at your expense and at our election, return the Equipment to us or make the Equipment available for collection by us. a) You agree to indemnify us and keep us indemnified in full against any Liability suffered by us howsoever arising from your hire, use or storage of the Equipment. vi. any Liability or other losses or expenses to the extent that you are covered by any policy of insurance against that Liability, and you shall ensure that your insurers waive any and all rights of subrogation they may have against us. d) Any defective Equipment and/or Products must be returned to us at your expense for inspection before we have any responsibility for defective Equipment and/or Products. e) Nothing in this Contract shall exclude or limit either party’s liability for death or personal injury due to its negligence, fraud or fraudulent misrepresentation, breach of sections 13 and 14 of the Sale of Goods Act 1979 or sections 8 and 9 of the Sale of Goods and Services Act 1982 in cases where you are dealing as a consumer, or any other type of liability to the extent such liability may not be excluded or limited as a matter of law. a) The hiring of each piece of Equipment in the relevant Hire Period shall form a distinct Contract which shall be separate to any other Contract relating to other Equipment. b) You shall be liable for the acts and/or omissions of your employees, agents, servants and/or sub-contractors as though they were your own acts and/or omissions under this Contract. c) You shall be responsible for compliance with all relevant legislation and regulations issued by Government or local authorities, including (but not limited to) regulations under the Factories Acts, Health and Safety at Work Act. You shall obtain all permissions, consents and licences required for the installation and use of the Equipment or Products or provision of the Services from any third party or under any statute, regulations or bylaw and in due time comply with any conditions imposed in respect thereof. d) The waiver of rights arising from any breach of any of these conditions or the non-enforcement of any of these conditions shall not prevent the subsequent enforcement of that condition or the exercise of any right arising from that breach and shall not be deemed a waiver of rights arising from any subsequent breach. e) Any provision of these conditions held by a court of law to be invalid shall be severable and shall to the extent necessary to prevent such invalidity be deemed to be omitted from these conditions and any liability which would otherwise have been excluded or limited shall nevertheless be subject to the remaining provisions of these conditions. f) These terms and conditions supersede and replace all prior terms and conditions, communications, representations, warranties, stipulations, undertakings, and agreements whether oral or written between the parties. g) All third party rights are excluded and no third parties shall have any rights to enforce the Contract. h) This Contract is governed by and interpreted in accordance with English law and the parties agree to submit to the exclusive jurisdiction of the English courts in relation to any matter or dispute arising out of or in connection with it (whether of a contractual or tortuous nature or otherwise). i) The provisions of these conditions shall remain in full force and effect notwithstanding that the parties’ obligations under the Contract may have been performed or discharged. j) We have the right to vary the Contract, by giving you 7 days written notice of such variation. k) You may not assign the Contract or any rights thereunder without our prior written consent. a) Hires to individuals or partnerships of 3 individuals or less (or other unincorporated body of individuals) shall not be for a period in excess of 3 months. You shall return the Equipment to us on or before the last day of such three month period. This clause shall not apply if you hire the Equipment wholly or mainly for business purposes and the sum of the Charges exceeds £25,000. a) If you are a consumer, and you made your order away from our premises, you have a legal right to cancel a Contract during the period set out below in clause 16c. This means that during the relevant period if you change your mind or for any other reason you decide you do not want to keep a Product or Equipment, you can notify us of your decision to cancel the Contract and receive a refund. Advice about your legal right to cancel the Contract is available from your local Citizens’ Advice Bureau or Trading Standards office. b) Your cancellation right does not apply in the case of any Products or Equipment that have been custom-made to your specifications. c) Your legal right to cancel a Contract starts from the date of the Written Order Acknowledgment, which is when the Contract between us is formed. If the Products have already been delivered to you, you have a period of 7 (seven) working days in which you may cancel, starting from the day after the day you receive the Products. If you have hired Equipment or ordered Services, you have a period of 7 (seven) working days from the date the Contract between us is formed, unless the Hire Period or Services have started with your consent, in which case your right to cancel ends when the Hire Period or Services start. Working days means that Saturdays, Sundays or public holidays are not included in this period. d) To cancel a Contract, you must contact us in writing by sending an e-mail to [email protected] or by sending a letter to us at Unit 1, Red House Farm Business Units, Bacton, Stowmarket, Suffolk IP14 4SB. You may wish to keep a copy of your cancellation notification for your own records. If you send us your cancellation notice by e-mail or by post, then your cancellation is effective from the date you sent us the e-mail or posted the letter to us. e) You will receive a full refund of the price you paid for the Products or any hire Charges, and any applicable delivery charges you paid for. We will process the refund due to you as soon as possible and, in any case, within 30 calendar days of the day on which you gave us notice of cancellation as described in clause 16d. If you returned the Products or Equipment to us because they were faulty or mis-described, please see clause 16f. f) If you have returned the Products or Equipment to us under this clause 16 because they are faulty or mis-described, we will refund the price of a defective Product or the hire Charges in full, any applicable delivery charges, and any reasonable costs you incur in returning the item to us. g) We refund you on the credit card or debit card used by you to pay. iii. you have a legal obligation to keep the Products or Equipment in your possession and to take reasonable care of the Products or Equipment while they are in your possession. i) Details of your legal right to cancel and an explanation of how to exercise it are provided in the Written Order Acknowledgment. j) As a consumer, you will always have legal rights in relation to Products or Equipment that are faulty or not as described. These legal rights are not affected by the returns policy in this clause 16. Advice about your legal rights is available from your local Citizens’ Advice Bureau or Trading Standards office.